On the day that Shanann Watts and her young daughters were first reported missing in mid-August, her husband Chris Watts made a series of phone calls to area hospitals at the suggestion of concerned family and friends — but an investigating officer was skeptical that Watts actually inquired about his family. According to a phone data report included in the discovery documents related to the murder investigation, released by the Weld County District Attorney’s office, Chris Watts made phone calls to four area hospitals on August 13, “following suggestions by many,” the report states. 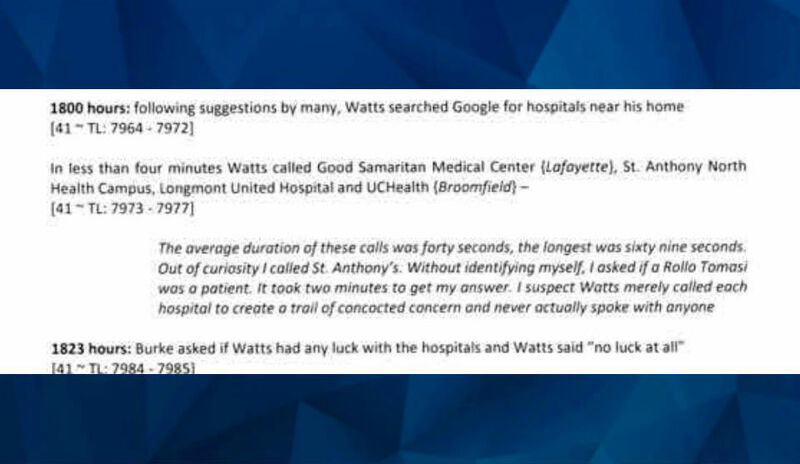 Watts first performed Google searches for local hospitals. The Greeley Police officer who authored the report wrote in the data review that he called one of those four hospitals “out of curiosity” and asked about an unknown name, requesting confirmation that they were a patient at the hospital. “It took two minutes to get my answer,” the officer, who did not identify himself in the call, wrote in the report. Police bodycam footage taken from the first police visit to the Watts home, previously published by CrimeOnline, shows that a Frederick Police Officer encouraged Watts and Shanann’s friend Nicole Atkinson, who was present at the home, to call hospitals looking for Shanann and her daughters, 4-year-old Bella and 3-year-old Celeste. 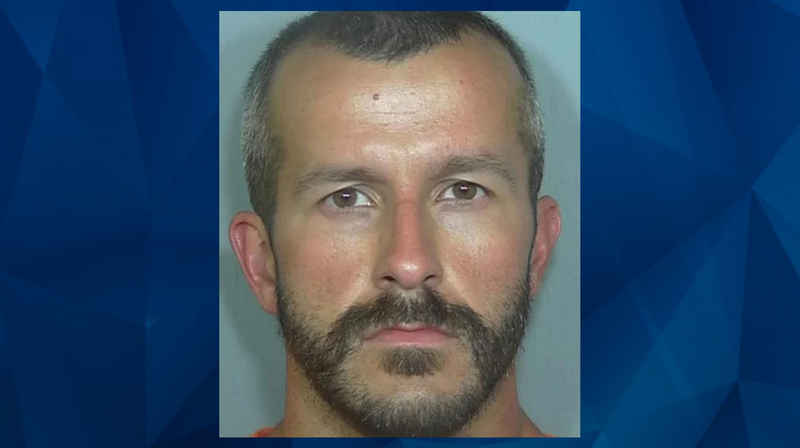 Two days later, Chris Watts failed a polygraph test and confessed to murdering Shanann, initially claiming that he attacked her in a rage after she strangled their daughters. Last month, Watts pleaded guilty to all three murders and is now serving multiple life sentences without the possibility of parole.